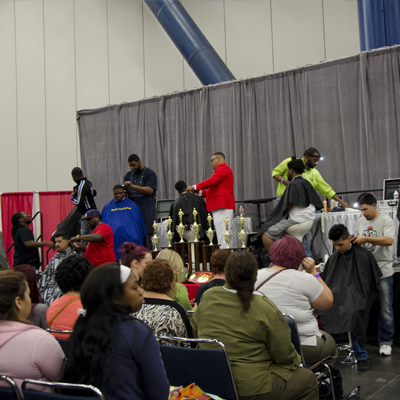 This competition consists of professional barbers. Professional are allowed to show their skills with any type of cut they prefer. No pre-cuts, but pre-color is allowed. Barbers are encouraged to show their creativity and skills. This competition is 40 minutes long. 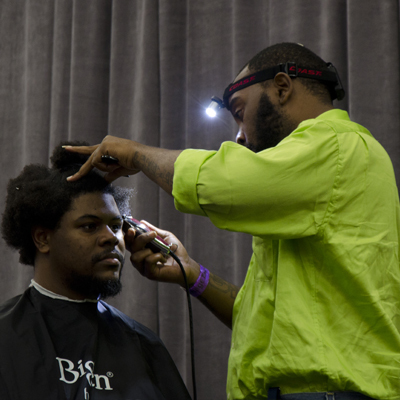 Barbers will be judged on creativity, line ups, and overall cleanliness of the cut. This competition is focused on accuracy and speed. Competitors have 15 minutes to do their best work. Models may not be pre-cut, including line ups. Hair must be cut to no lower than 1 ½ on top to bald on the sides. Barbers will be judged on speed, blend of fade, line ups, and overall cleanliness. 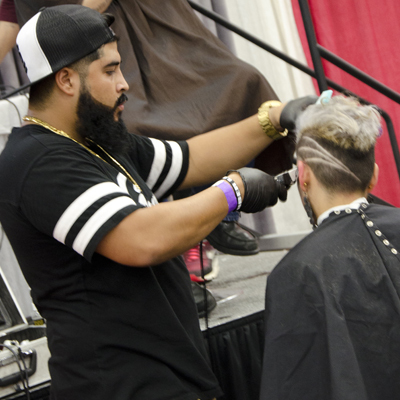 This competition consists of barbers competing with everyday styles. 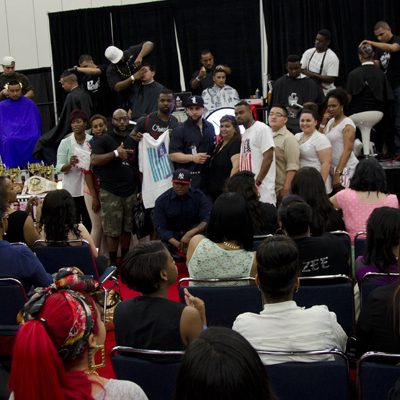 Models may not be pre- cut or pre-colored, including line ups and shape ups. Competitors will have 40 minutes to complete the entire cut. Color is not allowed. Barbers will be judged on blend of fade, line ups, and overall cleanliness of the cut. This competition consists of student/ apprentice barbers. Students are allowed to show their skills with any type of cut they prefer. No pre-cuts, but pre-color is allowed. Students are encouraged to show their creativity and skills. This competition is 40 minutes long. 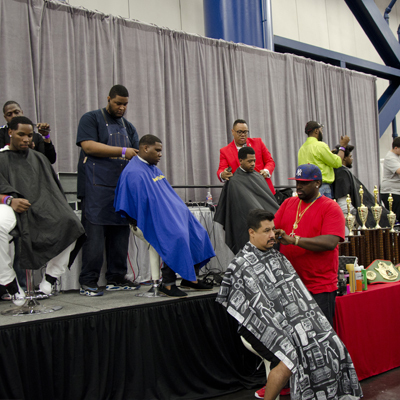 Barbers will be judged on creativity, line ups, and overall cleanliness of the cut. This competition consists of students/ apprentice barbers. 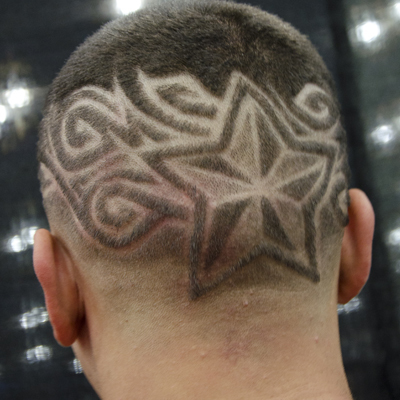 Students are allowed to showcase their skills with traditional cuts. Hair may not be pre-cut or pre-colored. Beards are allowed. This competition is 40 minutes long. Barbers will be judged on blend of fade, accurate line, and overall cleanliness of the cut.